James has a growing reputation as an up and coming junior in Chambers’ core areas, with a practice focusing on commercial disputes, property, pensions, trusts, and associated professional liability. He has been recommended in Chambers & Partners 2015 and 2016 for Commercial Chancery work (the first junior of his call to be ranked in this field), and in Chambers & Partners 2016 for Pensions. The directories noted his communication skills, his ability to get on top of the details of a case, and his attention to client service. He was also “highly recommended” in Legal Week’s 2016 ‘Stars at the Bar’. 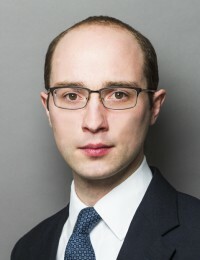 His recent highlights include acting as junior Counsel for the successful appellant in Cavendish Square Holdings BV v Makdessi  UKSC 67,  3 WLR 1373, in which the Supreme Court redefined the test for identifying a contractual penalty. That was his second appearance in the Supreme Court in two years, having previously appeared for the successful appellant in Manchester Ship Canal Company Ltd v United Utilities Water Plc  UKSC 40,  I WLR 2576. James’ practice combines both advisory and litigious work and he has a busy practice acting in cases as junior to silks inside and outside Chambers, often in cases involving an international element or proceedings in several different jurisdictions. Alongside these, he also undertakes his own substantial cases and regularly appears as an advocate, appearing at all levels up to and including the Court of Appeal.